Ruskin College the "College of the People"
A few weeks ago I was writing about Noah Ablett, a coalminer who attended Ruskin College in 1907. I was surprised to read that in March, 1909, he led a student strike in protest at the sacking of Dennis Hird, the Principal of Ruskin, who had been accused of teaching socialism through his lectures on sociology and evolution. This seemed an interesting story so I went to the Ruskin College official website to see if I could find out more about this incident. The History of Ruskin College website is very brief. "Our founders understood that education is power. 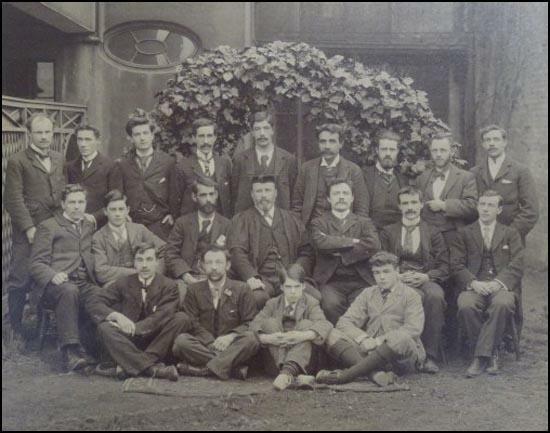 Founded in 1899 at a time of ferment in political and educational ideas, Ruskin College aimed to provide university-standard education for working class people to empower them to act more effectively on behalf of working class communities and organisations such as trade unions, political parties, co-operative societies and working men's institutes. Our ethos remains the same. We’re committed to providing learning that transforms individual lives and societies." It is true that indeed what the founders, who are strangely not named, wanted, but it does not tell the story of how Oxford University managed to undermine the intentions of these pioneers in working-class education. They have also been very successful in preventing this important story from entering the public domain. 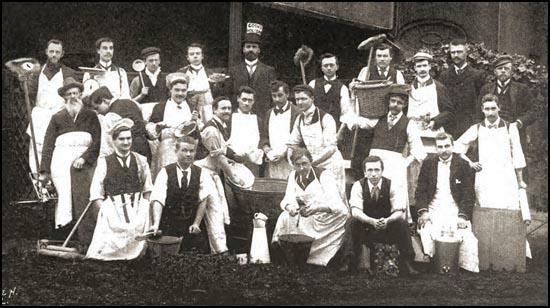 and Joseph Heywood (middle, seventh left). The students, almost all of them sent on trade union scholarships worth £52. 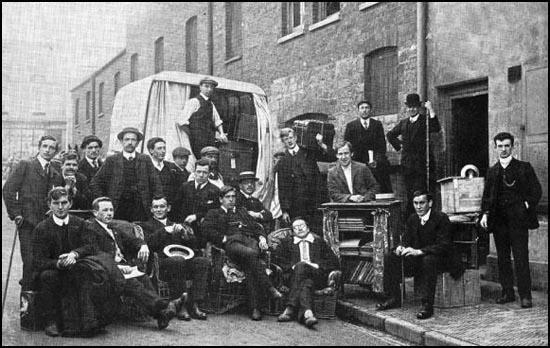 Some of the early students included Edward Traynor (a Yorkshire miner who had lost a leg in a accident at work), Robert Carruthers (a former railway booking clerk and a soldier in the King’s Own Scottish Borderers), Frank Merry (a member of the Independent Labour Party (ILP) and secretary to Walter Vrooman), Joseph Heywood (an apprentice journalist on the Manchester Guardian) and Horace J Hawkins (a member of the Social Democratic Federation who was expelled from the college in November, 1899). The students were expected to carry out nearly all of the domestic duties, the cooking, serving, washing up the duties and the general cleanliness. Dennis Hird replied to Curzon: "My Lord, when you speak of Ruskin College you are not referring merely to this institution here in Oxford, for this is only a branch of a great democratic movement that has its roots all over the country. To ask Ruskin College to come into closer contact with the University is to ask the great democracy whose foundation is the Labour Movement, a democracy that in the near future will come into its own, and, when it does, will bring great changes in its wake". Dennis Hird agreed to act as Principal and to lecture on sociology and other subjects, without any salary. 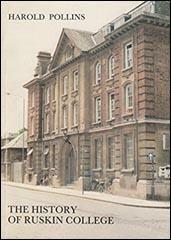 George Sims worked as its secretary and Alfred Hacking was employed as tutor in English grammar and literature. 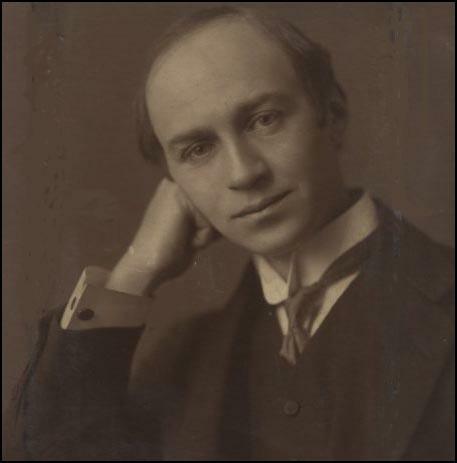 Fred Charles accepted a post as tutor in industrial and political history. The teaching staff was supplemented by regular visiting lecturers, such as Frank Horrabin, Winifred Batho, Rebecca West, Emily Wilding Davison, H. N. Brailsford, Arthur Horner and Frederick Pethick-Lawrence. 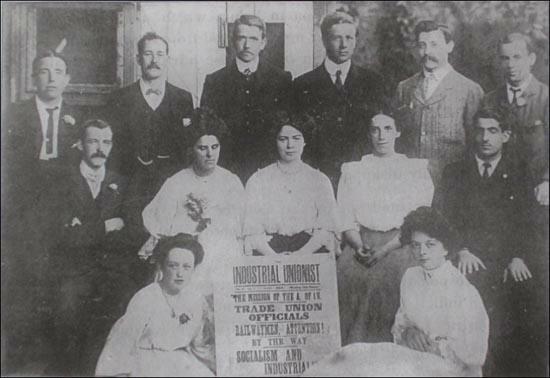 At a meeting on 30th October, 1909, to discuss the sacking of Dennis Hird. The chairman, Hastings Lees-Smith, attempted to rush through a resolution endorsing the action of the Council of the College in discharging Hird. 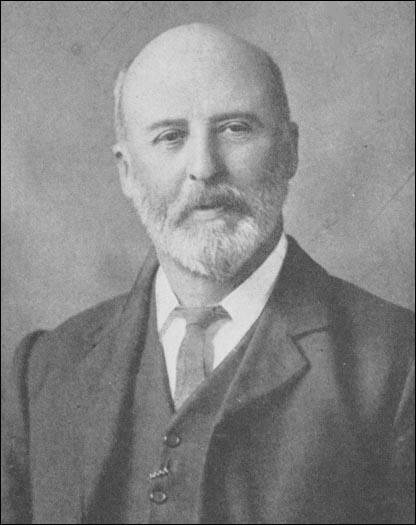 David Shackleton, the leader of the Weavers' Union, argued against the resolution. Eventually, it was decided to create a new Governing Council. It was now consisted of two representatives from the Trade Union Congress, two from the Co-operative Union and one from the Workingmen's Club and Institute Union. Oxford University had now lost control of Ruskin College. Dr. Gilbert Slater was appointed as the new principal of Ruskin College. He was a member of the Labour Party and was chairman, vice-chairman, or secretary of many local committees connected with unemployment and the anti-sweating campaign. He had also just finished his PhD at the London School of Economics. Slater position was strengthened by the public support of the leading lights of the labour movement - George Lansbury, Keir Hardie, Sidney Webb, Will Crooks, Pete Curran, and J. A. Hobson. The new Governing Council consisted of: James Sexton and Charles W. Bowerman (Trade Union Council), Ben Tillett (General Federation of Trade Unions), A. E. Wood and W. H. Berry (Working Men’s Club and Institute Union), J. Hill and J. Jones (Amalgamated Society of Engineers) J.Cairns (Northumberland Miners’ Association) F. Thomas (Weavers’ Amalgamation) and S. Ledbury (Amalgamated Society of Toolmakers).